Albert R. Gordy, Jr., of Hartly, passed away Thursday, November 1, 2018, in Starr Regional Hospital, Etowah, Tennessee. He was 69. 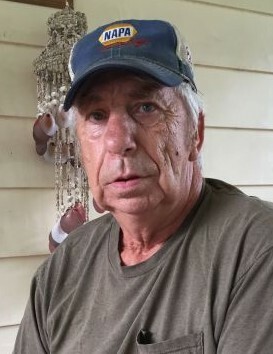 He had worked for many years as an over the road truck driver for Hobbs Enterprises and Shady Brook Farms; and had also worked at George’s Truck Repair. Albert was preceded in death by his father, Albert Raymond Gordy, and his brother, Ron Gordy. Albert is survived by his wife of 25 years, Maryann (Steele) Gordy; 4 children, Jettie McGraw & Husband, Daniel, of Fort Bragg, N.C.; Curtis Steele & wife, Kara, of Nashville, Georgia; Crystal Dixon, of Dover; and Albert R. Gordy, III & wife, Star, of Dover; his siblings, Darlise Epps & husband, Allen, of Wildwood, Florida and Terry Gordy & wife, Vicky, of Townsend; his mother, Elizabeth(Reynolds) Gordy, of Wildwood, Florida; grandchildren, Caleb, Collin, & Chloe McGraw, Jaxson & Hailey Steele, Dustin, Jayden & Anthony Dixon, Justin & Stacia Gordy; and Kersten Stevens; and 2 great-grandchildren, Preston & Hintley Stevens. Funeral Services will be held at 1:00 pm, Wednesday, November 7, 2018, in Pippin Funeral Home, Inc., 119 West Camden-Wyoming Ave., Wyoming, DE; where family and friends may view from 11am-1pm. Burial will follow in Sharon Hills Memorial Park, Dover. In lieu of flowers, contributions may be made to the funeral home to help with expenses. Condolences may be sent via: www.pippinfuneralhome.com.